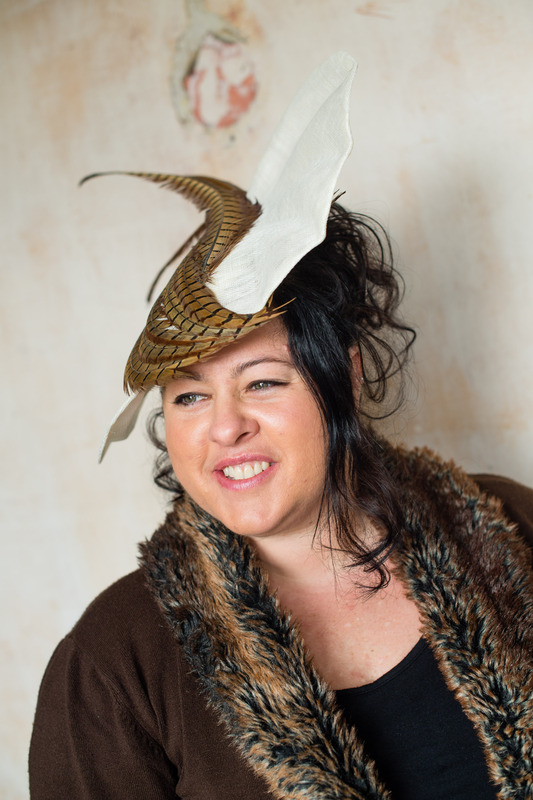 On deciding that your outfit needs to be crowned with a unique head piece, Nicola is on hand to guide you through the design process with a expert eye. You are invited to our homely studio in the Preseli Hills of West Wales to discuss your ideas and of course to try on some pieces! During ths meeting we will discuss the best style to compliment you and your outfit. Chat about the event, your requirements and discuss any questions you may have. We advise making this appointment once your have decided on your outfit for the big day and to bring this along. Your bespoke headwear will be hand dyed for the best results. You will be invited back to collect your unique head piece and guided through the correct way to wear and care for it.